With today’s technology, we can easily tell the person we love how we feel about them. Writing love letters is almost obsolete. But you are lucky enough to receive a handwritten love letter nowadays for this means that the person takes time and makes efforts to write about his or her true feelings towards you. Messages conveyed through love letters are sweeter than those sent even via the highest form of technology present today. 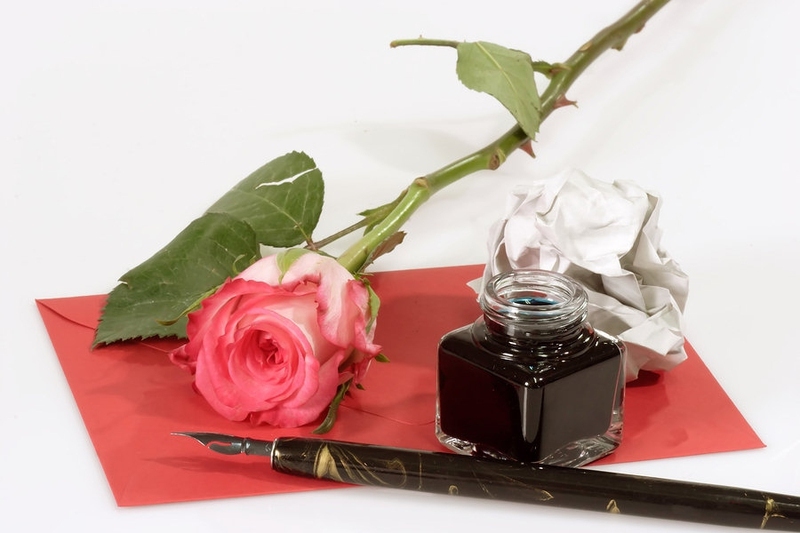 This article will show you 5 samples of different love letters to help you start writing yours. Remember, when writing your letter, you should always be yourself. After everything that I’ve been through, I never believed I would find someone like you. Having met you in my life is like finding a needle in the field full of grass. No one has a perfect past, and everyone has a sad story to tell, you never got tired of listening to mine. You make me believe that I am worth loving despite my imperfections. I never saw you wanting to give up on me even if there were times I was under the weather. I just want to tell you that I am more than happy and thankful to have you in my life. I love you so much. I am here looking above to the sky, and I hope that right at this moment we are looking at the same star. Being away from you is unbearably difficult. How I wish you are here with me. It breaks my heart into many pieces each time I wake up knowing you are miles away from me. Missing you is very difficult but it makes my love for you grow stronger. I hope that soon enough, I can hold your hand again while we watch the beautiful sunset. I’m missing you so much. I’m very sorry about last night. I realized I overreacted, but I was just really afraid of losing you. I’m really sorry. The truth is, for me you are the one God has intended for me. Each time I hear your voice, my heart leaps with gladness. And every time you come near me, I feel chills, cold air surrounding my whole body. I melt each time you look at me in the eyes, and I could not imagine living my life without you. Please let me make it up to you. I love you very much. A couple accompanies each other and, more importantly, supports each other along the way. And love letters about encouragement are really precious. Last night, you looked very tired and stressed. I cooked your favorite food but you did not even bother to finish your meal. I asked if you were okay, you said you are doing just fine and forced a smile. You said that you wanted to sleep early and that you are just too tired, so you kissed me in the forehead and said goodnight. But when you closed the door, I thought I heard you cry. You’ve always been the bubbly and goofy boyfriend, but last night, I knew you were struggling inside. I just want to let you know that I will never leave your side. My ears are always ready to listen and my hand is always ready to hold yours. Whatever you are going through, please don’t forget that you will always have me beside you. When it's time to take your relationship to next level, passionate love letters will help to make things better, more romantic and really unforgettable. We’ve been together for 4 years and the happiness I feel inside whenever I am with you just keeps on getting stronger. You've picked up all my broken pieces ever since you entered my life. You teach me how to be strong but humble at the same time. You help me correct my mistakes -- tell me outright but never judge. I just want to say thank you for all your understanding and love. Tears of happiness fell from my eyes when you asked my parents if you could take my hand and live our lives together with the blessing of the Lord Almighty. Now that we are about to take forever, I promise you that you will be the only man in my life and I will accompany you forever.